The Planning Commission of Government of India notes that there are more than 31 million persons employed in the construction sector in the country, out of which 83% are unskilled workers. It is imperative to upgrade the skills of construction workers, and the skills training should at a minimum focus on employability, EHS practices, and quality of life for workers. In addition, workers in the electrical sector should be trained to correctly handle and install energy efficient equipment. Schneider Electric is helping in the efforts to address this challenge via its electrician training program, and by partnering with engineering and technical universities to develop courses in energy efficiency. To date, over 3,000 electricians have been trained under the electrician training program, which is run under the BipBop program (a CSR initiative) . Schneider Electric also helps the trainees to find employment with construction firms, electrical contractors, or other stakeholders. In another important development, the Global Technology Center India (GTCI) unit in Bangalore has entered into agreement with the state government to develop courses in energy efficiency for students enrolled in polytechnic colleges. This will help in developing a cadre of technicians who will be trained in handling, installing, operating and maintaining the equipment and systems. The National Building Code (NBC) of India provides guidelines for regulating the building construction activities across the country and serves as a model code for adoption by all municipal bodies. The Bureau of Indian Standards, the agency which has developed this code, has recently released the draft for incorporating sustainability practices into the building sector. This document, titled Approach to Sustainability, lists a comprehensive set of requirements that will reduce the negative impact of buildings on the natural environment. 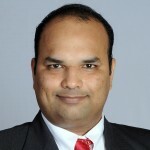 Dr. Satish Kumar, Energy Efficiency Ambassador, Schneider Electric India, is one of the co-authors of the chapter on Building Performance Measurement in this document. We believe that inclusion of Approach to Sustainability in NBC will help in the development of a systematic means of monitoring and reporting the building performance data. While some might question the need for another standard when we ourselves had mentioned the downside of multiple building standards in our previous post, none of the existing building standards require mandatory reporting of building performance data. It is evident from the table below that once NBC’s Approach to Sustainability is formalized, adopting environmentally friendly practices over the entire building life cycle will gain wider acceptance. This would ultimately contribute significantly to the development of green buildings market in India. very useful information Green buildngs. Its purely eco friendly. Thanks for sharing.